Join us on Wednesday, May 23rd for Grit 'N Wit! Here you'll need brain and brawn to take on the mental and physical challenges. HOW IT WORKS: Sign up your team! Teams can be anywhere from 2 to 6 people (generally 4 is a pretty solid number). No team - no problem! You can take on the course by yourself! 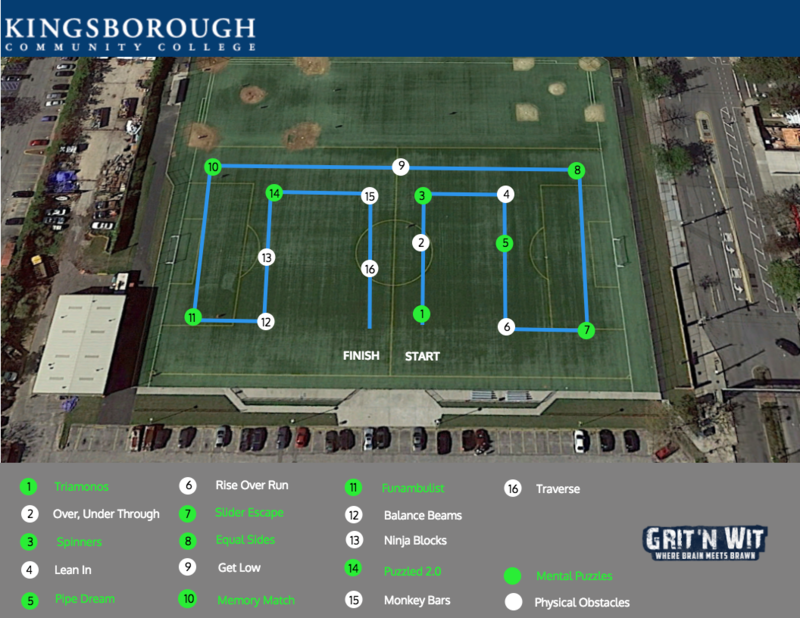 The course will be on campus and you can compete to take on the 16 different obstacles. The team with the best time wins. 2. The teams with the best times receive medals! Event starts at 2 p.m.